Sometimes you just have to do the silly things in life. And then you realize how amazing they really are. 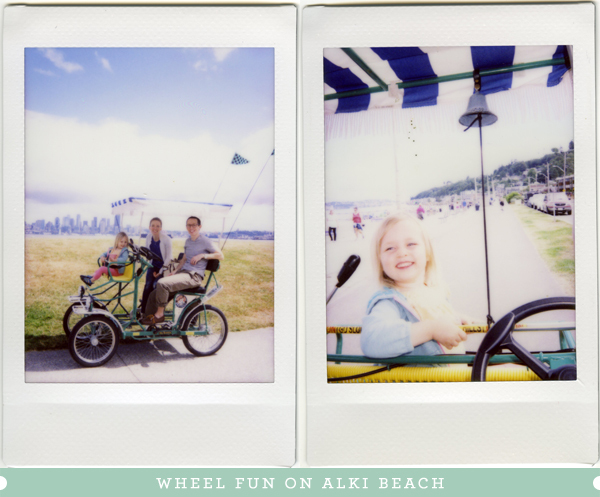 We had the absolute best time renting one of these big bike carts from Wheel Fun on Alki Beach. We laughed and grinned the entire time. A wonderful memory. I visited Alki beach back in early July and wanted desperately to ride one of these! Of course, seeing as I was with my boyfriend and his parents, we would've looked rather silly with a big bike, but nevertheless, I came back a week later with my nephew and we had the best time. Those things are really a joy!